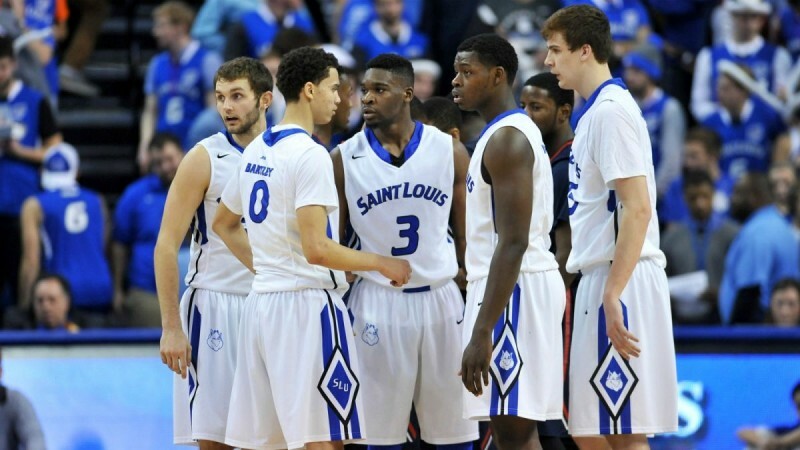 Do the Billikens have one final push left in them? Saint Louis had a nice showing in the Atlantic 10 Tournament back in 2013 when it snagged the number 1 seed and won the whole thing. That was the second out of three straight seasons that the Billikens would make the NCAA Tournament— they’d win in the first round all three years as well. But after the 2013-14 season, things changed. Saint Louis lost 5 seniors to graduation: Jordair Jett, Dwayne Evans, Mike McCall, Rob Loe, and Jake Barnett. Forced to rebuild, Jim Crews and his Billikens would struggle for the next two seasons, this year included. This year’s Saint Louis team is one of the youngest in the nation; the Billikens have just one senior on the roster: Ash Yacoubou. Though this roster lacks experience, it has been finding ways to scrape together key wins here and there. The final question remains: do the Billikens have one final push left in them during the A-10 Tournament? There hasn’t been a lot for this Billiken team to celebrate this year; Saint Louis is not a good rebounding team, and it doesn’t shoot the ball very well from 2 or 3 point range. Sure, there have been incidents where Saint Louis has gone off and put up 80+ points, but most of the time, the Billikens are in the 50s or 60s— sometimes even the 30s or 40s. This offense has been relatively stagnant this year, but this Billikens squad is also one of the more unpredictable teams in the league. This struggling offense put up 96 points against Davidson earlier this season. They also had a game in which they hit just 2 first half field goals. No one knows what to expect. Most of the time, it’s safe to say that if you put up 70 points against Saint Louis, you’re going to win. The Billikens have only scored 70 or more points 6 times in conference play this season. They’re more likely to win a hard-fought game in the low 60s or high 50s. In fact, they almost did just that against Dayton earlier this season. It took overtime, but the Flyers skated out out of Chaifetz Arena with a 52-49 victory. The Billikens had just 19 first half points. Since Dayton had a tough time scoring, Saint Louis was able to hang around. The key for this team will be keeping the score low and grinding out a hard-fought, defensive-minded game. Do the Billikens have one final push left in them? It’s tough to say. It’s been hard for this team considering it does not have a whole lot of experience at the helm. These underclassmen have been working all season to get better and grow with this young team. While it’s unlikely that this Saint Louis team will make a significant splash in the conference tournament, it wouldn’t be surprising to see the Billikens win a game or two. They’ve shown grit this season and know what it takes to win some close games. I’d expect Saint Louis, with the up-and-coming players it has, to be back in the NCAA Tournament in a year or two. Hopefully will see a press conference tomorrow and put these two last nightmare years behind us.